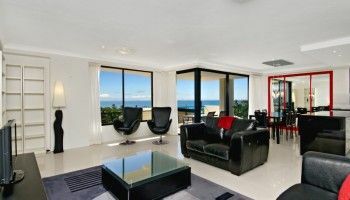 You’ll love our supersized Kings Beach Caloundra holiday apartments. 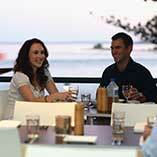 Central to the Caloundra Heads, Burgess@Kings Beach resort has views overlooking Kings and Shelly Beach. 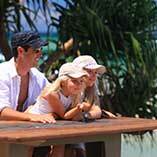 These apartments offer something that few other resorts in Caloundra can; space and style. This luxury resort is predominantly composed of three bedroom apartment accommodation, ranging in size from 118 to 145 square metres. The fittings and furniture compliment the spaces perfectly, including the lights, the down lights and lumineres providing an excellent addition to the mood. The extra-wide windows are also nicely dressed with roller shades to control light, glare and privacy. The luxury is in the detail, design and space. A quietly understated elegance and warmth that is also so welcoming. 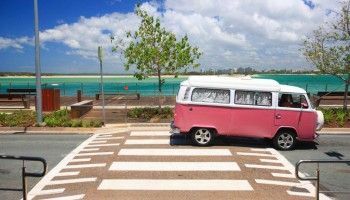 You’ll love Caloundra too. It’s a great spot to enjoy the peace and solitude of the Sunshine Coast. The apartments provide a wide open feeling both inside and out. If you’re a large family or group planning to tour the Sunshine Coast then our fully self contained three bedroom apartments make perfect sense for you. Providing five beds (one queen and four singles), and a living area almost as big as the MCG, you’ll have plenty of room to spread out and relax. 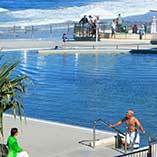 Just a block away are the Kings Beach salt water pools which makes an ideal escape when the crowds have taken over the beach. It’s a 25m wave-free alternate to the beach, and they have a lifeguard on duty. The rock pools beside the pool are great for kids to explore and the sea lanes that cross the horizon of the beach offer some great commercial ship spotting fun. 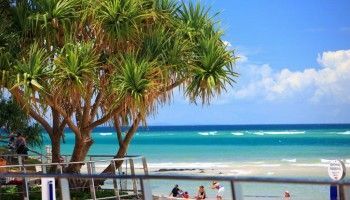 Our supersized Kings Beach Caloundra holiday apartments really are perfect for that family holiday by the beach. There’s lot’s more besides, and we’re keen to tell you more… Book now at Burgess@Kings Beach holiday apartments for a holiday to remember.